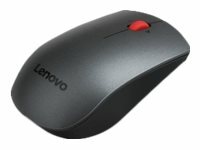 This wireless laser mouse is an ergonomic full-size mouse that provides comfort and support for all day use. Complete tasks with ease using the precise laser sensor and 4-way scroll wheel. Choose modern design without compromising on productivity. In the context of the sale of rechargeable and disposable batteries, or in the context of the delivery of equipment containing rechargeable or disposable batteries, we are obliged to draw your attention to the Battery Ordinance which states that batteries may not be disposed of as ordinary household waste. As the end user, you are obliged to return used batteries. You can return batteries free of charge after use to the retail outlet, municipal collection points or shops. You can also return batteries to the seller by post. Rechargeable or disposable batteries that contain hazardous substances are labeled accordingly by a crossed-out wheelie bin. The chemical symbol for the hazardous substance is indicated beside the wheelie bin symbol. Cd stands for cadmium, Pb for lead and Hg for mercury.